Repo Runner is a PICO-8 game by tarngerine. In Repo Runner, you’re… the repo-person! The one who tows cars that people haven’t paid up for. 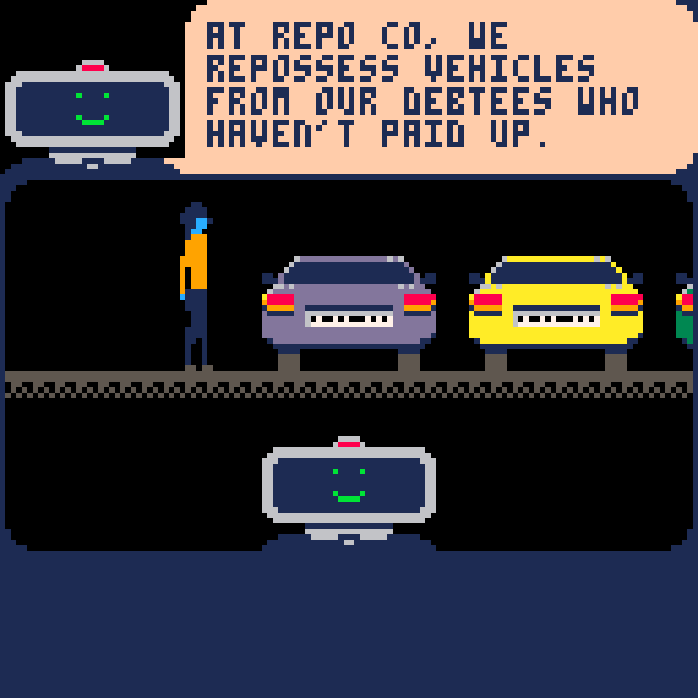 You work for Repo Co., and each day you must extract the target vehicle before the debtee drives it away.